THE Russian submarine did exactly what it was built to do. And that's what has NATO worried. 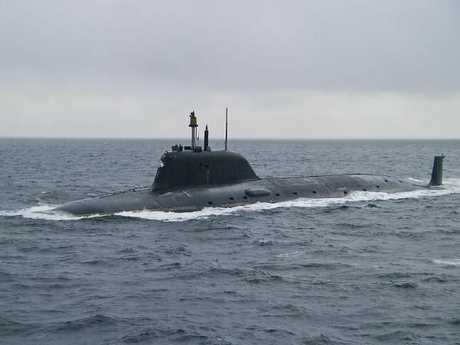 The diesel-engined attack submarine Krasnodar crept through the blue waters of the Mediterranean towards the Black Sea. This was to become its new home. But, on the way, it had a mission to do. NATO knew the new submarine was passing by. And new submarines are items of keen interest. How noisy is it? What are its unique sound signatures? How long can its batteries last? Does it carry any new equipment? Several specialist NATO anti-submarine frigates were following, determined to find out. The nuclear-powered aircraft carrier USS George H.W. Bush put its sea-scanning Seahawk helicopters to the task. As was a flight of new P-8 Poseidon sub-hunting aircraft based in Italy. But the Russians weren't going to play. The submarine had travelled on the surface - in plain sight - through the North Sea from Russia's northern naval bases. 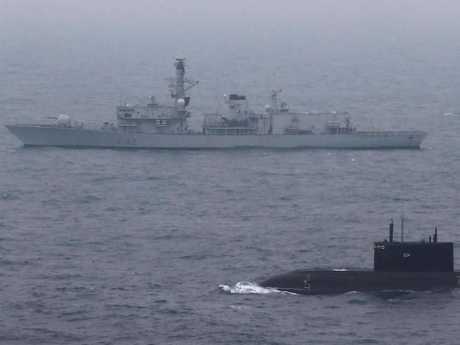 A succession of NATO warships - including Britain's HMS Somerset - kept a watchful eye on it, waiting for it to submerge. At least not until it reached Libya, where Russia's Defence Ministry abruptly warned international airlines that it would be taking part in military exercises off the coast. It was part of a sales-pitch to Egypt, and others, who are in the market for modern - quiet - conventionally powered submarines. Then, out of the blue on May 29, a series of cruise missiles tore through the air towards targets around Syria's besieged city of Palmyra. They came from the Krasnodar. It also posed a troubling question: who was hunting whom? 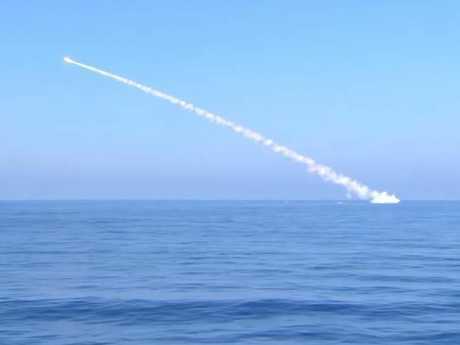 A screen capture of Russian Ministry of Defence footage claiming to show the submarine Krasnodar launching a cruise missile, while submerged, at targets in Syria earlier this year. Naval analyst and historian Dr Alexander Clarke says the cruise missile strike didn't go to the usual Russian playscript. At first it was a familiar game of cat-and mouse. The Russian submarine tried - but not too hard - to keep invisible. The US and NATO subhunters tried - but not too hard - to keep it in their sights. A screen capture of Russian Ministry of Defence footage purporting to show cruise missiles from the submarine Krasnodar striking targets near Palmyra, Syria, earlier this year. "The Russians have usually 'cheated' in exercises with prearranged midpoint missile guidance updates from a ground unit, a surface ship, or a helicopter. This time it didn't happen, which means she must have received far more accurate data. With all the world watching, the Russians must have been very sure that the everything would work." Dr Clarke says. "More importantly, Krasnodar didn't surface to communicate or to fire, which again has become fairly common practice over the last ten or fifteen years." The submarine was trying to remain unseen. It was exposing itself - and its missiles - as little as possible to reduce the chances of detection. But Krasnodar - and the Russian frigate Admiral Essen - was being observed. The NATO frigate HMS Somerset and the Wildcat helicopter it carries reportedly moved up to see what was going on. "However, the Russian commander is likely one of their newer breed, younger, slightly more aggressive, confident in his boat and crew," Dr Clarke says. "Would he perhaps have been tempted to do some turnaround as fair game? This is what we are now hearing rumours about." Exactly what that "turnaround" was is unknown. Did Krasnodar 'vanish'? Did it make successful mock attack runs on NATO warships? Did it perhaps sit silent before surprising unsuspecting NATO ships with a loud sonar 'ping'? The new phase of a deadly old Cold War game appears to have lasted for several weeks. Notably, the game of cat-and-mouse was still panning out when a Syrian jet fighter was shot down by the USS George H.W. Bush's F/A-18 aircraft on June 18. Moscow threatened to shoot down US fighter aircraft in retaliation. 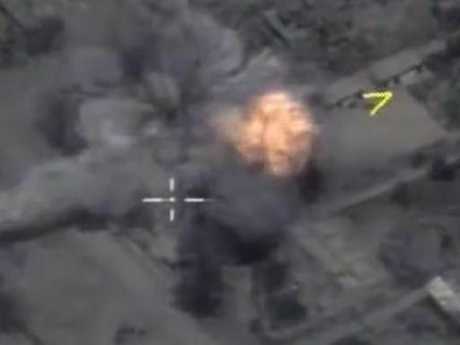 Five days later, the submerged Krasnodar fired another salvo of cruise missiles into Syria. The USS George H.W. Bush was moving through waters south of Cyprus in the Eastern Mediterranean at the time. "They were flexing their muscles," Rear Admiral Kenneth Whitesell, commander of the USS Bush strike group, told the Wall Street Journal. He added that the launch was watched by a French frigate and US Navy aerial surveillance. But had the hunters become the hunted? "If everything had gone as normal it would not be getting any attention, but if Krasnodar did manage to pull some tricks …" Dr Clarke says. The Russian Kilo-class submarine is nothing new. It's been around in some form or another since the 1980s. Moscow's keen to export them for desperately needed hard currency, given the swath of sanctions that have been applied against the country since it invaded Crimea in 2014. As such, it's marketing Krasnodar and the submarines of its class as the quietest in the world. Russian state media claims the submarine "was dubbed 'black hole' by NATO." "That's twaddle," says Dr Clarke. "But it's probably the quietest Kilo, and all powered down running just on batteries in the noisy Mediterranean, that could start to cause worry - even for NATO." "And the Russians will not only build more for themselves, they'll probably be building similar vessels for others. Vietnam, Algeria, India and Iran will all be interested in that capability ... and you can be sure China wants to match it." "With the likes of Krasnodar now having cruise missile capability, they are pretty much the kingpin of Russia's sea denial/anti-access forces ... a mobile minefield which is also capable of precision strike. It's what Australia wanted from the Collins class, Japan from the Soryu's and Israel from the Dolphins. The difference is Russia seems to have got it and are confident enough to flaunt it." Russia plans to build 12 of the new "Yasen" class of nuclear attack submarine. 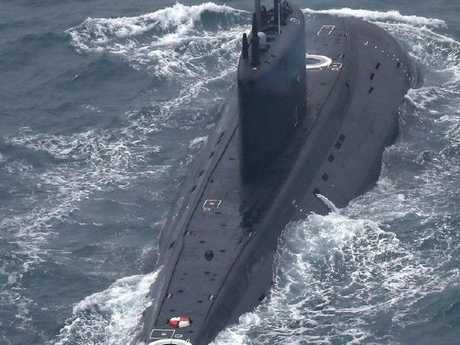 The Borei class are Russia's new generation of ballistic missile submarines - the cornerstone and most survivable part of its nuclear arsenal. And the Wall Street Journal speculates one of these - the Kazan - may have secretly shadowed the USS George H.W. Bush and Britain's newest aircraft carrier, HMS Queen Elizabeth, during August exercises in the North Atlantic. 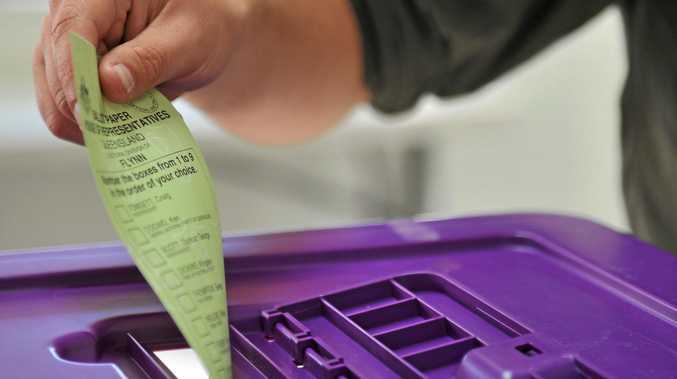 "This is something which Western navies, already visibly showing the strain of years of both constant high operation tempos and budget cuts, might find breaks them," Dr Clarke says.